Sandhills PRIDE is a support network and educational advocacy group dedicated to increasing awareness and acceptance of the LGBTQ community in the Sandhills region of North Carolina. 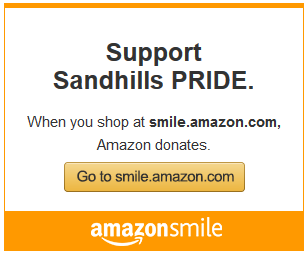 Sandhills PRIDE is a 501(c)(3) nonprofit organization based in Pinehurst. Please make your most generous financial investment in Sandhills PRIDE to help make this amazing community we call home a better place for ALL OF US. Won’t you make your gift today? Even better, pledge to become a monthly donor to sustain our work into the future!